So some guy on KindleBoards is whining that his book isn’t selling. Loads of other authors offer advice. He’s offended. He wants to quit the writing business. I didn’t comment on that thread, just like I don’t comment on the numerous whiny author FB posts. My book isn’t selling. Nobody loves me. I should just quit. Wahhh! Authors, don’t invite us to your pity parties and then reject our advice. Authors, quit whining that nobody is buying your books. If nobody is buying your books, whining isn’t helping. DO something about it. 4. Try writing another book or a whole new genre. 5. Quit whining. Quit whining. Quit whining. My parodies aren’t selling as well as I’d like. I realize that this genre is limiting. Not every reader is a fan of crude paranormal parody. My mainstream comedy has received stellar reviews and has sold far better than the parodies. So my next PJ Jones’ book will also be a mainstream comedy, not a parody. Do I love writing parodies? Does it sadden me that I have to put those books on hold for a while? Am I whining about it? Because whining isn’t going to sell more books. I pubbed YA under another name with a publisher about five years ago. Those books didn’t sell well, but they are selling well now that I’ve gotten my rights back and put them on Kindle, Nook and itunes. I’ve realized that right now YA is HOT. So yet another reason to put parodies on hold while I focus on releasing more YAs. In today’s market, when the publishing industry has been completely rewritten by Kindle and other epubs, publishing houses are forced to adapt. This is the perfect market for indie authors. At least, those indie authors who are savvy enough to quit bitching and write for the market. Just like the publishing houses, we have to adapt, too. We have to learn new ways to sell our books. Try new things. But most of all, we have to quit whining! And if you, the indie author, can’t market, can’t revise, can’t adapt, can’t accept feedback, then maybe this isn’t the business for you. 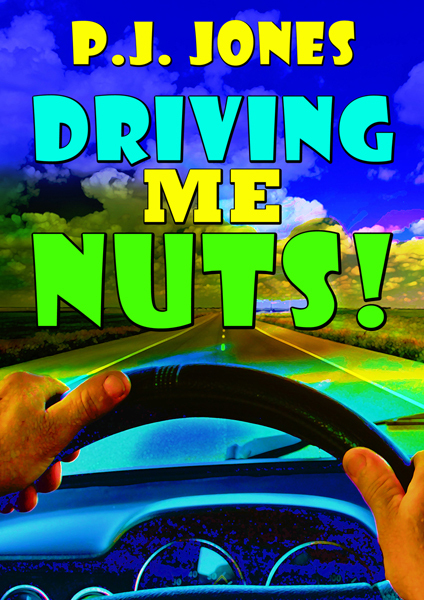 Well, today is the last day to snag Driving Me Nuts! for FREE. The gracious Shea MacLeod has a sample scene on her blog. To read it, go here. To download your free Kindle copy, go here. Hope you’re having an awesome weekend. The sun is out and the breeze is just perfect in my little slice of Texas. Oh, and Nuts! now has 15 reviews and a 4.6 star rating! Thanks readers! March Mischief Kindle Sale and giveaway! Cheap Kindle books at the Indie Book Festival! The Apocalypse Collection and Fishing with Sasquatch is here!! !